This inflatable slide features all your favorite Bikini Bottom characters including SpongeBob, Patrick, Gary, & Squidward. You & your friends will slip down the 30 foot lane & slide into the splash pool & protective bumper at the end of the slide. 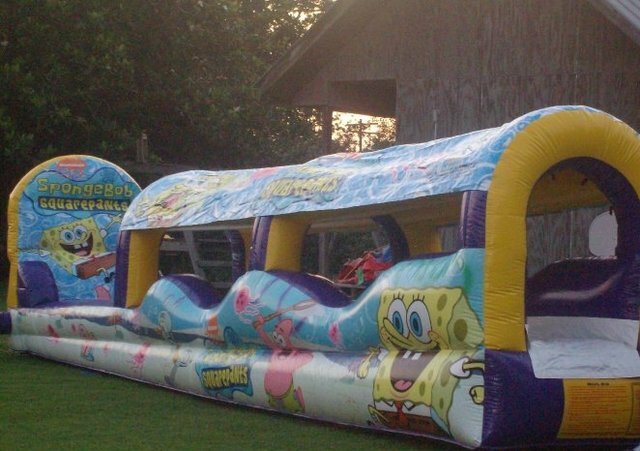 If you want to add SpongeBob & friends to your party call us to rent this 30 x 5 x 7 foot slip n slide for only $125 a day.